Samuel Hollander is University Professor Emeritus at the University of Toronto, Canada, where he served on the faculty from 1963 to 1998, and is currently affiliated with the Department of Economics at Ben-Gurion University, Israel. 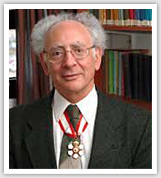 An Officer of the Order of Canada, Fellow of the Royal Society of Canada, and Fellow of the Canadian Economics Association, Professor Hollander holds an honorary Doctorate of Laws from McMaster University, Ontario, Canada, and was a Research Director at the Centre National de la Recherche Scientifique (CNRS) of France, 1999-2000. He remains one of the world’s greatest authorities on the history of economic thought. 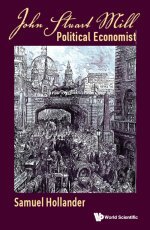 His series of innovative and authoritative volumes on the nineteenth-century fathers of economics has revolutionized the study of classical economics. He has earned a reputation as an internationally renowned scholar and speaker. As a professor at the University of Toronto, he has influenced and inspired innumerable students, many of whom are now professors at universities around the world. Fourth volume of Collected Essays including contributions since 1998. Demonstrates the high relevance for the recent banking crisis of Adam Smith's position on government intervention. Extensive comparisons amongst 18th, 19th, and 20th century economists. 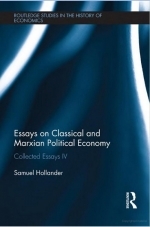 A study of Mill’s theory of economic policy analyzing his views on the primary dilemmas of the modern liberal state. Offers new insights into the Mill–Adam Smith and Mill–Karl Marx relationships. Rejects Friedrich Hayek’s lament that Mill undermined “liberalism” and also sundry charges of bourgeois bias, élitism, paternalism, social engineering, and hypocrisy with respect to British Imperialism.